Yang Bai, Xu-jing Guo, Yun-zhen Li and Tao Huang. "Experimental and visual research on the microbial induced carbonate precipitation by Pseudomonas aeruginosa." AMB Express 7, no. 2121 (2017): 57. Hadallia Bergeron, Vinod K. Sangwan, Julian J. McMorrow, Gavin P. Campbell, Itamar Balla, Xiaolong Liu, Michael J. Bedzyk, Tobin J. Marks and Mark C. Hersam. "Chemical vapor deposition of monolayer MoS2 directly on ultrathin Al2O3 for low-power electronics." Applied Physics Letters 110, no. 2155 (2017): 053101. Samuele Boschi, Birger Schmitz, Philipp R. Heck, Anders Cronholm, Céline Defouilloy, Noriko T. Kita, Simonetta Monechi, Alessandro Montanari, Surya S. Rout and Fredrik Terfelt. "Late Eocene 3He and Ir anomalies associated with ordinary chondritic spinels." Geochimica et Cosmochimica Acta 204, no. 217 (2017): 205-218. Ryan A. Hackler, Michael O. McAnally, George C. Schatz, Peter C. Stair and Richard P. Van Duyne. "Identification of Dimeric Methylalumina Surface Species during Atomic Layer Deposition Using Operando Surface-Enhanced Raman Spectroscopy." Journal of the American Chemical Society 139, no. 2116 (2017): 2456-2463. Philipp R. Heck, Birger Schmitz, William F. Bottke, Surya S. Rout, Noriko T. Kita, Anders Cronholm, Céline Defouilloy, Andrei Dronov and Fredrik Terfelt. "Rare meteorites common in the Ordovician period. "Nature Astronomy 1, no. 190 (2017): 0035. Julian J. McMorrow, Cory D. Cress, Heather N. Arnold, Vinod K. Sangwan, Deep Jariwala, Scott W. Schmucker, Tobin J. Marks and Mark C. Hersam. "Vacuum ultraviolet radiation effects on two-dimensional MoS2 field-effect transistors." Applied Physics Letters 110, no. 2037 (2017): 073102. Cameron Peebles, Meinan He, Zhenxing Feng, Chi-Cheung Su, Li Zeng, Michael J. Bedzyk, Paul Fenter, Yan Wang, Zhengcheng Zhang and Chen Liao. "Investigation of Glutaric Anhydride as an Electrolyte Additive for Graphite/LiNi0.5Mn0.3Co0.2O2 Full Cells. "Journal of The Electrochemical Society 164, no. 1882 (2017): A173-A179. Chen Wang, Mohamad Saeed Kodaimati, George C. Schatz and Emily A. Weiss. "The photoluminescence spectral profiles of water-soluble aggregates of PbS quantum dots assembled through reversible metal coordination. "Chemical Communications no. 193 (2017). Kenneth O. Aruda, Victor A. Amin, Christopher M. Thompson, Bryan Lau, Alexander B. Nepomnyashchii and Emily A. Weiss. "Description of the Adsorption and Exciton Delocalizing Properties of p-Substituted Thiophenols on CdSe Quantum Dots." Langmuir 32, no. 15114 (2016): 3354-3364. Jason R. Avila, Jonathan D. Emery, Michael J. Pellin, Alex B. F. Martinson, Omar K. Farha and Joseph T. Hupp. "Porphyrins as Templates for Site-Selective Atomic Layer Deposition: Vapor Metalation and in Situ Monitoring of Island Growth." ACS Applied Materials & Interfaces 8, no. 14131 (2016): 19853-19859. Jason R. Avila, Michael J. Katz, Omar K. Farha and Joseph T. Hupp. "Barrier-Layer-Mediated Electron Transfer from Semiconductor Electrodes to Molecules in Solution: Sensitivity of Mechanism to Barrier-Layer Thickness." The Journal of Physical Chemistry C 120, no. 13837 (2016): 20922-20928. Taner Aytun, Peter J. Santos, Carson J. Bruns, Dongxu Huang, Andrew R. Koltonow, Monica Olvera de la Cruz and Samuel I. Stupp. "Self-Assembling Tripodal Small-Molecule Donors for Bulk Heterojunction Solar Cells." The Journal of Physical Chemistry C 120, no. 1237 (2016): 3602-3611. Mark Bachrach, Tobin J. Marks and Justin M. Notestein. "C-N bond hydrogenolysis of aniline and cyclohexylamine over TaOx-Al2O3." New Journal of Chemistry 40, no. 1247 (2016): 6001-6004. Yasemin Çimen, Aaron W. Peters, Jason R. Avila, William L. Hoffeditz, Subhadip Goswami, Omar K. Farha and Joseph T. Hupp. "Atomic Layer Deposition of Ultrathin Nickel Sulfide Films and Preliminary Assessment of Their Performance as Hydrogen Evolution Catalysts." Langmuir 32, no. 14446 (2016): 12005-12012. Pravas Deria, Diego A. Gómez-Gualdrón, Idan Hod, Randall Q. Snurr, Joseph T. Hupp and Omar K. Farha. "Framework-Topology-Dependent Catalytic Activity of Zirconium-Based (Porphinato)zinc(II) MOFs." Journal of the American Chemical Society 138, no. 20243 (2016): 14449-14457. Kunlun Ding, Ahmet Gulec, Alexis M. Johnson, Tasha L. Drake, Weiqiang Wu, Yuyuan Lin, Eric Weitz, Laurence D. Marks and Peter C. Stair. "Highly Efficient Activation, Regeneration, and Active Site Identification of Oxide-Based Olefin Metathesis Catalysts." ACS Catalysis 6, no. 859 (2016): 5740-5746. Patrick K. Duffy, Scott A. Barnett and Thomas O. Mason. "A Hemispherical Electrolyte Probe for Screening of Solid Oxide Fuel Cell Cathode Materials." Journal of The Electrochemical Society 163, no. 1338 (2016): F802-F807. Kedy Edme, Stephanie Bettis Homan, Alexander B. Nepomnyashchii and Emily A. Weiss. "Ultrafast exciton decay in PbS quantum dots through simultaneous electron and hole recombination with a surface-localized ion pair." Chemical Physics 471, no. 135 (2016): 46-53. Zhenxing Feng, Xiao Chen, Timothy T. Fister, Michael J. Bedzyk and Paul Fenter. "Phase control of Mn-based spinel films via pulsed laser deposition." Journal of Applied Physics 120, no. 1361 (2016): 015307. Nicolás A. Grosso-Giordano, Todd R. Eaton, Zhenyu Bo, Sara Yacob, Chieh-Chao Yang and Justin M. Notestein. "Silica support modifications to enhance Pd-catalyzed deoxygenation of stearic acid." Applied Catalysis B: Environmental 192, no. 79 (2016): 93-100. Eve D. Hanson, Fengyuan Shi, Thomas C. Chasapis, Mercouri G. Kanatzidis and Vinayak P. Dravid. "Two-dimensional bismuth-rich nanosheets through the evaporative thinning of Se-doped Bi2Te3." Journal of Crystal Growth 436, no. 103 (2016): 138-144. Philipp R. Heck, Birger Schmitz, Surya S. Rout, Travis Tenner, Krysten Villalon, Anders Cronholm, Fredrik Terfelt and Noriko T. Kita. "A search for H-chondritic chromite grains in sediments that formed immediately after the breakup of the L-chondrite parent body 470 Ma ago." Geochimica et Cosmochimica Acta 177, no. 132(2016): 120-129. Xisen Hou, Chenfeng Ke, Yu Zhou, Zhuang Xie, Ahmed Alngadh, Denis T. Keane, Majed S. Nassar, Youssry Y. Botros, Chad A. Mirkin and J. Fraser Stoddart. "Concurrent Covalent and Supramolecular Polymerization." Chemistry – A European Journal 22, no. 5035 (2016): 12301-12306. Jingtian Hu, Chang-Hua Liu, Xiaochen Ren, Lincoln J. Lauhon and Teri W. Odom. "Plasmonic Lattice Lenses for Multiwavelength Achromatic Focusing." ACS Nano no. 57(2016). Ie-Rang Jeon, Lei Sun, Bogdan Negru, Richard P. Van Duyne, Mircea Dincă and T. David Harris. "Solid-State Redox Switching of Magnetic Exchange and Electronic Conductivity in a Benzoquinoid-Bridged MnII Chain Compound." Journal of the American Chemical Society 138, no. 14520 (2016): 6583-6590. Rebecca J. Kamire, Marek B. Majewski, William L. Hoffeditz, Brian T. Phelan, Omar K. Farha, Joseph T. Hupp and Michael R. Wasielewski. "Photodriven hydrogen evolution by molecular catalysts using Al2O3-protected perylene-3,4-dicarboximide on NiO electrodes." Chemical Science no. 131(2017). Rachel C. Klet, Timothy C. Wang, Laura E. Fernandez, Donald G. Truhlar, Joseph T. Hupp and Omar K. Farha. "Synthetic Access to Atomically Dispersed Metals in Metal–Organic Frameworks via a Combined Atomic-Layer-Deposition-in-MOF and Metal-Exchange Approach." Chemistry of Materials 28, no. 1054 (2016): 1213-1219. Eungje Lee, Joel Blauwkamp, Fernando C. Castro, Jinsong Wu, Vinayak P. Dravid, Pengfei Yan, Chongmin Wang, Soo Kim, Christopher Wolverton, Roy Benedek, Fulya Dogan, Joong Sun Park, Jason R. Croy and Michael M. Thackeray. "Exploring Lithium-Cobalt-Nickel Oxide Spinel Electrodes for ≥3.5 V Li-Ion Cells." ACS Applied Materials & Interfaces 8, no. 14241 (2016): 27720-27729. Xiaobao Li, Nanxi Lu, Hannah R. Brady and Aaron I. Packman. "Ureolytic Biomineralization Reduces Proteus mirabilis Biofilm Susceptibility to Ciprofloxacin." Antimicrobial Agents and Chemotherapy 60, no. 1255 (2016): 2993-3000. Yuan Li, Jeffrey D. Cain, Eve D. Hanson, Akshay A. Murthy, Shiqiang Hao, Fengyuan Shi, Qianqian Li, Chris Wolverton, Xinqi Chen and Vinayak P. Dravid. "Au@MoS2 Core–Shell Heterostructures with Strong Light–Matter Interactions." Nano Letters no. 152 (2016). Zhanyong Li, Aaron W. Peters, Varinia Bernales, Manuel A. Ortuño, Neil M. Schweitzer, Matthew R. DeStefano, Leighanne C. Gallington, Ana E. Platero-Prats, Karena W. Chapman, Christopher J. Cramer, Laura Gagliardi, Joseph T. Hupp and Omar K. Farha. "Metal–Organic Framework Supported Cobalt Catalysts for the Oxidative Dehydrogenation of Propane at Low Temperature." ACS Central Science (2016). Shengsi Liu, J. Miles Tan, Ahmet Gulec, Neil M. Schweitzer, Massimiliano Delferro, Laurence D. Marks, Peter C. Stair and Tobin J. Marks. "Direct Synthesis of Low-Coordinate Pd Catalysts Supported on SiO2 via Surface Organometallic Chemistry." ACS Catalysis no. 146 (2016): 8380-8388. Kyle A. Luck, Heather N. Arnold, Tejas A. Shastry, Tobin J. Marks and Mark C. Hersam. "Suppression of Polyfluorene Photo-Oxidative Degradation via Encapsulation of Single-Walled Carbon Nanotubes." The Journal of Physical Chemistry Letters 7, no. 14720 (2016): 4223-4229. Nikhita D. Mansukhani, Linda M. Guiney, Peter J. Kim, Yichao Zhao, Diego Alducin, Arturo Ponce, Eduardo Larios, Miguel Jose Yacaman and Mark C. Hersam. "High-Concentration Aqueous Dispersions of Nanoscale 2D Materials Using Nonionic, Biocompatible Block Copolymers." Small 12, no. 1863 (2016): 294-300. Lingling Mao, Hsinhan Tsai, Wanyi Nie, Lin Ma, Jino Im, Constantinos C. Stoumpos, Christos D. Malliakas, Feng Hao, Michael R. Wasielewski, Aditya D. Mohite and Mercouri G. Kanatzidis. "Role of Organic Counterion in Lead- and Tin-Based Two-Dimensional Semiconducting Iodide Perovskites and Application in Planar Solar Cells." Chemistry of Materials 28, no. 14821 (2016): 7781-7792. Catherine M. Mauck, Patrick E. Hartnett, Eric A. Margulies, Lin Ma, Claire E. Miller, George C. Schatz, Tobin J. Marks and Michael R. Wasielewski. "Singlet Fission via an Excimer-Like Intermediate in 3,6-Bis(thiophen-2-yl)diketopyrrolopyrrole Derivatives." Journal of the American Chemical Society 138, no. 15036 (2016): 11749-11761. Courtney E. Morgan, Amanda W. Dombrowski, Charles M. Rubert Pérez, Edward S. M. Bahnson, Nick D. Tsihlis, Wulin Jiang, Qun Jiang, Janet M. Vercammen, Vivek S. Prakash, Timothy A. Pritts, Samuel I. Stupp and Melina R. Kibbe. "Tissue-Factor Targeted Peptide Amphiphile Nanofibers as an Injectable Therapy To Control Hemorrhage." ACS Nano 10, no. 1301 (2016): 899-909. Alexander B. Nepomnyashchii, Rachel D. Harris and Emily A. Weiss. "Composition and Permeability of Oleate Adlayers of CdS Quantum Dots upon Dilution to Photoluminescence-Relevant Concentrations." Analytical Chemistry 88, no. 1996 (2016): 3310-3316. Hyunho Noh, Yuexing Cui, Aaron W. Peters, Dale R. Pahls, Manuel A. Ortuño, Nicolaas A. Vermeulen, Christopher J. Cramer, Laura Gagliardi, Joseph T. Hupp and Omar K. Farha. "An Exceptionally Stable Metal–Organic Framework Supported Molybdenum(VI) Oxide Catalyst for Cyclohexene Epoxidation." Journal of the American Chemical Society 138, no. 15344 (2016): 14720-14726. Baofei Pan, Jinhua Huang, Zhenxing Feng, Li Zeng, Meinan He, Lu Zhang, John T. Vaughey, Michael J. Bedzyk, Paul Fenter, Zhengcheng Zhang, Anthony K. Burrell and Chen Liao. "Polyanthraquinone-Based Organic Cathode for High-Performance Rechargeable Magnesium-Ion Batteries." Advanced Energy Materials 6, no. 14014 (2016): 1600140. Nikhil Rammohan, Keith W. MacRenaris, Laura K. Moore, Giacomo Parigi, Daniel J. Mastarone, Lisa M. Manus, Laura M. Lilley, Adam T. Preslar, Emily A. Waters, Abigail Filicko, Claudio Luchinat, Dean Ho and Thomas J. Meade. "Nanodiamond–Gadolinium(III) Aggregates for Tracking Cancer Growth In Vivo at High Field." Nano Letters no. 154 (2016). Erik Robinson, Sunjay Kaushal, Justice Alaboson, Sudhish Sharma, Amogh Belagodu, Claire Watkins, Brandon Walker, Gregory Webster, Patrick McCarthy and Dean Ho. "Combinatorial release of dexamethasone and amiodarone from a nano-structured parylene-C film to reduce perioperative inflammation and atrial fibrillation." Nanoscale 8, no. 1347 (2016): 4267-4275. Debajit Sarma, Saiful M. Islam, K. S. Subrahmanyam and Mercouri G. Kanatzidis. "Efficient and selective heavy metal sequestration from water by using layered sulfide K2xSn4-xS8-x (x = 0.65-1; KTS-3)." Journal of Materials Chemistry A 4, no. 6742 (2016): 16597-16605. Chan Myae Myae Soe, Constantinos C. Stoumpos, Boris Harutyunyan, Eric F. Manley, Lin X. Chen, Michael J. Bedzyk, Tobin J. Marks and Mercouri G. Kanatzidis. "Room Temperature Phase Transition in Methylammonium Lead Iodide Perovskite Thin Films Induced by Hydrohalic Acid Additives." ChemSusChem 9, no. 7218 (2016): 2656-2665. Lauren F. Sturdy, Alexander Yee, Francesca Casadio and Kenneth R. Shull. "Quantitative characterization of alkyd cure kinetics with the quartz crystal microbalance." Polymer 103, no. 137 (2016): 387-396. Robert van Lith, Xuesong Wang and Guillermo Ameer. "Biodegradable Elastomers with Antioxidant and Retinoid-like Properties." ACS Biomaterials Science & Engineering 2, no. 1282 (2016): 268-277. Jisheng Xiao, Siyu Chen, Ji Yi, Hao F. Zhang and Guillermo A. Ameer. "A Cooperative Copper Metal–Organic Framework-Hydrogel System Improves Wound Healing in Diabetes." Advanced Functional Materials no. 157 (2016). Sara Yacob, Beata A. Kilos, David G. Barton and Justin M. Notestein. "Vapor phase ethanol carbonylation over Rh supported on zeolite 13X." Applied Catalysis A: General 520, no. 143(2016): 122-131. Ruiguo Yang, Alireza Zaheri, Wei Gao, Cheryl Hayashi and Horacio D. Espinosa. "AFM Identification of Beetle Exocuticle: Bouligand Structure and Nanofiber Anisotropic Elastic Properties." Advanced Functional Materials no. 180 (2016): 1603993. Zhilin Yu, Faifan Tantakitti, Liam C. Palmer and Samuel I. Stupp. "Asymmetric Peptide Nanoribbons." Nano Letters 16, no. 7511 (2016): 6967-6974. Zhenxing Feng, Xiao Chen, Liang Qiao, Albert L. Lipson, Timothy T. Fister, Li Zeng, Chunjoong Kim et al. "Phase-Controlled Electrochemical Activity of Epitaxial Mg-Spinel Thin Films." ACS applied materials & interfaces 7, no. 51 (2015): 28438-28443. Z. Feng, Q. Ma, J. Lu, H. Feng, J. W. Elam, P. C. Stair, and M. J. Bedzyk. "Atomic-scale cation dynamics in a monolayer VO X/α-Fe 2 O 3 catalyst." RSC Advances 5, no. 126 (2015): 103834-103840. Hilary M. Chase, Benjamin Rudshteyn, Brian T. Psciuk, Mary Alice Upshur, Benjamin F. Strick, Regan J. Thomson, Victor S. Batista, and Franz M. Geiger. "Assessment of DFT for Computing Sum Frequency Generation Spectra of an Epoxydiol and a Deuterated Isotopologue at Fused Silica/Vapor Interfaces." The Journal of Physical Chemistry B (2015). Xiaobao Li, David L. Chopp, William A. Russin, Paul T. Brannon, Matthew R. Parsek, and Aaron I. Packman. "Spatial Patterns of Carbonate Biomineralizationin Biofilms." Applied and environmental microbiology 81, no. 21 (2015): 7403-7410. Laszlo Frazer, Kelvin B. Chang, Kenneth R. Poeppelmeier, and John B. Ketterson. "Cupric oxide inclusions in cuprous oxide crystals grown by the floating zone method." Science and Technology of Advanced Materials(2015). Julien Gasc, Yanbin Wang, Tony Yu, Ion C. Benea, Benjamin R. Rosczyk, Toru Shinmei, and Tetsuo Irifune. "High-pressure, high-temperature plastic deformation of sintered diamonds." Diamond and Related Materials 59 (2015): 95-103. Kedy Edme, Stephanie Bettis Homan, Alexander B. Nepomnyashchii, and Emily A. Weiss. "Ultrafast Exciton Decay in PbSQuantum Dots through Simultaneous Electron and Hole Recombination with a Surface-Localized Ion Pair." Chemical Physics (2015). Tristan W. Day, Kai S. Weldert, Wolfgang G. Zeier, Bor-Rong Chen, Stephanie L. Moffitt, Ulrike Weis, Klaus P. Jochum et al. "Influence of Compensating Defect Formation on the Doping Efficiency and Thermoelectric Properties of Cu2-ySe1–x Br x." Chemistry of Materials 27, no. 20 (2015): 7018-7027. Kaustava Bhattacharyya, Weiqiang Wu, Eric Weitz, Baiju K. Vijayan, and Kimberly A. Gray. "Probing Water and CO2 Interactions at the Surface of Collapsed Titania Nanotubes Using IR Spectroscopy." Molecules 20, no. 9 (2015): 15469-15487. Wei, Xiaoding, Lily Mao, Rafael A. Soler-Crespo, Jeffrey T. Paci, Jiaxing Huang, SonBinh T. Nguyen, and Horacio D. Espinosa. "Plasticity and ductility in graphene oxide through a mechanochemically induced damage tolerance mechanism." Nature communications 6 (2015). Merve Doğangün, Mimi N. Hang, Julianne M. Troiano, Alicia C. McGeachy, Eric S. Melby, Joel A. Pedersen, Robert J. Hamers, and Franz M. Geiger. "Alteration of Membrane Compositional Asymmetry by LiCoO2 Nanosheets. "ACS nano 9, no. 9 (2015): 8755-8765. Shi-Qiang Li, Kazuaki Sakoda, John B. Ketterson, and Robert PH Chang. "Broadband resonances in indium-tin-oxide nanorod arrays." Applied Physics Letters 107, no. 3 (2015): 031104. Jason R. Avila, Dong Wook Kim, Martino Rimoldi, Omar K. Farha, and Joseph T. Hupp. "Fabrication of Thin Films of α-Fe2O3 via Atomic Layer Deposition Using Iron Bisamidinate and Water under Mild Growth Conditions." ACS applied materials & interfaces 7, no. 30 (2015): 16138-16142. Daria C. Zelasko-Leon, Christina M. Fuentes, and Phillip B. Messersmith. "MUC1-Targeted Cancer CellPhotothermalAblation Using Bioinspired GoldNanorods." PloS one 10, no. 7 (2015): e0128756. Xin Wang, Reiner Bleher, Mary E. Brown, Joe GN Garcia, Steven M. Dudek, Gajendra S. Shekhawat, and Vinayak P. Dravid. "Nano-Biomechanical Study of Spatio-Temporal Cytoskeleton Rearrangements that Determine Subcellular Mechanical Properties and Endothelial Permeability." Scientific reports 5 (2015). Martin E. McBriarty, Gavin P. Campbell, Tasha L. Drake, Jeffrey W. Elam, Peter C. Stair, Donald E. Ellis, and Michael J. Bedzyk. "Atomic-Scale View of VOX–WOX Coreduction on the α-Al2O3 (0001) Surface." The Journal of Physical Chemistry C 119, no. 28 (2015): 16179-16187. Michael R. Roenbeck, Al’ona Furmanchuk, Zhi An, Jeffrey T. Paci, Xiaoding Wei, SonBinh T. Nguyen, George C. Schatz, and Horacio D. Espinosa. "Molecular-Level Engineering of Adhesion in Carbon Nanomaterial Interfaces." Nano letters 15, no. 7 (2015): 4504-4516. Xinge Yu, Li Zeng, Nanjia Zhou, Peijun Guo, Fengyuan Shi, Donald B. Buchholz, Q. Ma et al. “Ultra‐Flexible, ‘Invisible’ Thin‐Film Transistors Enabled by Amorphous Metal Oxide/Polymer Channel Layer Blends.” Advanced Materials 27, no. 14 (2015): 2390-2399. Stephanie L. Moffitt, Alexander U. Adler, Thomas Gennett, David S. Ginley, John D. Perkins, and Thomas O. Mason. "Confirmation of the Dominant Defect Mechanism in Amorphous In–Zn–O Through the Application of In Situ Brouwer Analysis." Journal of the American Ceramic Society 98, no. 7 (2015): 2099-2103. Philipp R. Heck, Birger Schmitz, Surya S. Rout, Travis Tenner, Krysten Villalon, Anders Cronholm, Fredrik Terfelt, and Noriko T. Kita. "A search for H-chondritic chromite grains in sediments that formed immediately after the breakup of the L-chondrite parent body 470 Ma ago." Geochimica et Cosmochimica Acta (2016). Taner Aytun, Leonel Barreda, Amparo Ruiz-Carretero, Jessica A. Lehrman, and Samuel I. Stupp. "Improving solar cell efficiency through hydrogen bonding: A method for tuning active layer morphology." Chemistry of Materials 27, no. 4 (2015): 1201-1209. Che-Ning Yeh, Kalyan Raidongia, Jiaojing Shao, Quan-Hong Yang, and Jiaxing Huang. "On the origin of the stability of graphene oxide membranes in water." Nature chemistry 7, no. 2 (2015): 166-170. AM Beese, Z An, S Sarkar, SSP Nathamgari, HD Espinosa, SBT Nguyen, Defect-Tolerant Nanocomposites through Bio-Inspired Stiffness Modulation, Advanced Functional Materials, 21 May 2014, 24 (19), pp 2883—2891. JE Johns, JMP Alaboson, S Patwardhan, CR Ryder, GC Schatz, MC Hersam, Metal Oxide Nanoparticle Growth on Graphene via Chemical Activation with Atomic Oxygen, J. Am. Chem. Soc., 2013, 135 (48), pp 18121—18125. JL Achtyl, IV Vlassiouk, PF Fulvio, SM Mahurin, S Dai, FM Geiger, Free Energy Relationships in the Electrical Double Layer over Single-Layer Graphene, J. Am. Chem. Soc., 2013, 135 (3), pp 979—981. MW Ambrogio, M Frasconi, MD Yilmaz, X Chen, New Methods for Improved Characterization of Silica Nanoparticle-Based Drug Delivery Systems, Langmuir, 2013, 29 (49), pp 15386—15393. X Yu, N Zhou, J Smith, H Lin, K Stallings, J Yu, TJ Marks, A Facchetti, Synergistic Approach to High-Performance Oxide Thin Film Transistors Using a Bilayer Channel Architecture, ACS Appl. Mater. Interfaces, 2013, 5 (16), pp 7983—7988. SH Lo, J He, K Biswas, MG Kanatzidis, VP Dravid, Phonon Scattering and Thermal Conductivity in p-Type Nanostructured Pb Te-Ba Te Bulk Thermoelectric Materials, Advanced Functional Materials, 19 December 2012, 22 (24), pp 5175—5184. SR Stock, A Veis, X Xiao, JD Almer, JR Dorvee, Sea urchin tooth mineralization: Calcite present early in the aboral plumula, Journal of Structural Biology, November 2012, 180 (2), pp 280—289. K Biswas, J He, ID Blum, CI Wu, TP Hogan, DN Seidman, VP Dravid, MG Kanatzidis, High-performance bulk thermoelectrics with all-scale hierarchical architectures, Nature, 20 September 2012, 489 (7416), pp 414-418. M Ohta, K Biswas, SH Lo, J He, DY Chung, VP Dravid, MG Kanatzidis, Enhancement of Thermoelectric Figure of Merit by the Insertion of MgTe Nanostructures in p-type PbTe Doped with Na2Te, Advanced Energy Materials, September 2012, 2 (9), pp 1117—1123. J He, SN Girard, JC Zheng, L Zhao, MG Kanatzidis, VP Dravid, Strong Phonon Scattering by Layer Structured PbSnS2in PbTe Based Thermoelectric Materials, Advanced Materials, 22 August 2012, 24 (32), pp 4440—4444. 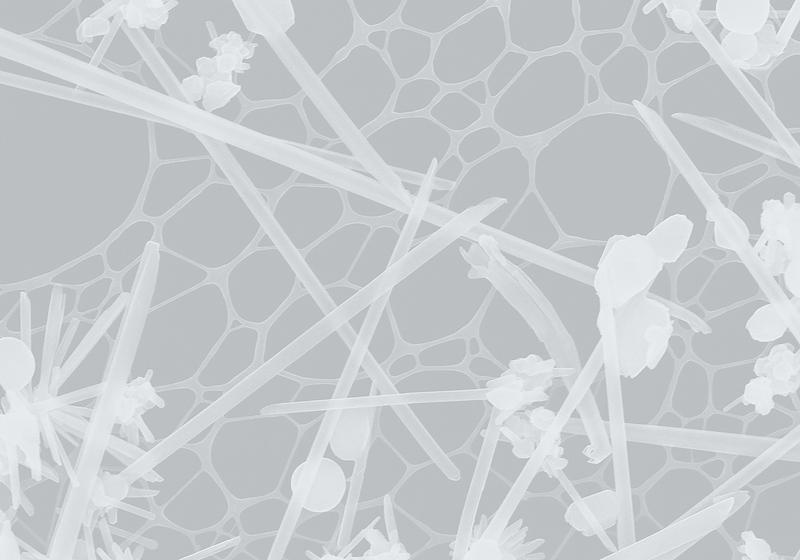 OC Compton, Z An, KW Putz, BJ Hong, BG Hauser, LC Brinson, SBT Nguyen, Additive-free hydrogelation of graphene oxide by ultrasonication, August 2012, 50 (10), pp 3399—3406. JG Rivera, PB Messersmith, Polydopamine-assisted immobilization of tryspin onto monolithic structures for protein digestion, Journal of Separation Science, June 2012, 35 (12), pp 1514—1520. HT Baytekin, B Baytekin, JT Incorvati, BA Grzybowski, Material Transfer and Polarity Reversal in Contact Charging, Angewandte Chemie, 14 May 2012, 124 (20), pp 4927—4931. HT Baytekin, B Baytekin, BA Grzybowski, Mechanoradicals Created in “Polymeric Sponges” Drive Reactions in Aqueous Media, Angewandte Chemie International Edition, 10 April 2012, 51 (15), pp 3596—3600. MM Mok, JM Torkelson, Imaging of phase segregation in gradient copolymers: Island and hole surface topography, Journal of Polymer Science Part B: Polymer Physics, 1 February 2012, 50 (3), pp 189—197. NO Shanti, GC DeNolf, KR Shull, KT Faber, Liquid Desiccant Solvent Extraction of Alumina-Filled Thermoreversible Gels, Journal of the American Ceramic Society, February 2012, 95 (2), pp 509—514. EH Chen, SA Saslow, SBT Nguyen, FM Geiger, Zinc Ion-Hydroxyl Interactions at Undecanol-Functionalized Fused Silica/Water Interfaces Using the EIsenthal x(3)Technique, J. Phys. Chem. C, 2012, 116 (12), pp 7016—7020. J He, ID Blum, HQ Wang, SN Girard, J Doak, LD Zhao, JC Zheng, G Casillas, C Wolverton, M Jose-Yacaman, DN Seidman, MG Kanatzidis, VP Dravid, Morphology Control of Nanostructures: Na-Doped PbTe—PbS System, Nano Lett., 2012, 12 (11), pp 5979—5984. JA Lehrman, H Cui, WW Tsai, TJ Moyer, SI Stupp, Supramolecular control of self-assembling terthiophene—peptide conjugates through the amino acid side chain, Chem. Commun., 2012, 48, pp 9711—9713. JB Matson, SI Stupp, Self-assembling peptide scaffolds for regenerative medicine, Chem. Commun., 2012, 48, pp 26—33. JE Johns, HJ Karmel, JMP Alaboson, MC Hersam, Probing the Structure and Chemistry of Perylenetetracarboxylic Dianhydride on Graphene Before and After Atomic Layer Deposition of Alumina, J. Phys. Chem. Lett., 2012, 3 (15), pp 1974—1979. JW Hennek, MG Kim, MG Kanatzidis, A Facchetti, TJ Marks, Exploratory Combustion Synthesis: Amorphous Indium Yttrium Oxide for Thin-Film Transistors, J. Am. Chem. Soc., 2012, 134 (23), pp 9593—9596. JW Hennek, Y Xia, K Everaerts, MC Hersam, A Facchetti, TJ Marks, Reduced Contact Resistance in Inkjet Printed High-Performance Amorphous Indium Gallium Zinc Oxide Transistors, ACS Appl. Mater. Interfaces, 2012, 4 (3), pp 1614—1619. Junling Lu, Baosong Fu, Mayfair C. Kung, Guomin Xiao, Jeffrey W. Elam, Harold H. Kung, Peter C. Stair, "Coking- and Sintering-Resistant Palladium Catalysts Achieved Through Atomic Layer Deposition", Science 335, 1205 (2012). John B. Matson and Samuel I. Stupp, "Self-Assembling Peptide Scaffolds for Regenerative Medicine", Chem. Commun., 2012, 48, 26–33. K. H. Aaron Lau,Chunlai Ren, Sung Hyun Park, Igal Szleifer, and Phillip B. Messersmith, "An Experimental Theoretical Analysis of Protein Adsorption on Peptidomimetic Polymer Brushes", Langmuir 2012, 28, 2288–2298. Y. Liao, R. Pourzal, M. A. Wimmer, J. J. Jacobs, A. Fischer, L. D. Marks, "Graphitic Tribological Layers in Metal-on-Metal Hip Replacements", Science 334, 1687 (2011). Sileika, T. S., Kim, H.-D., Maniak, P. & Messersmith, P. B. "Antibacterial Performance of Polydopamine Modified Polymer Surfaces Containing Passive and Active Components", ACS Applied Materials & Interfaces, 2011, 3 (12), pp 4602–4610. Personick, M. L.; Langille, M. R.; Zhang, J.; Mirkin, C. A. "Shape Control of Gold Nanoparticles by Silver Underpotential Deposition." Nano. Lett. 2011, 11, 3394. Langille, M. R.; Personick, M. L.; Zhang, J.; Mirkin, C. A. "Bottom-Up Synthesis of Gold Octahedra with Tailorable Hollow Features." J. Am. Chem. Soc. 2011, 133, 10414. Ian D. Tevis, Liam C. Palmer, David J. Herman, Ian P. Murray, David A. Stone, and Samuel I. Stupp, "Self-Assembly and Orientation of Hydrogen-Bonded Oligothiophene Polymorphs at LiquidMembraneLiquid Interfaces, J. Am. Chem. Soc. 2011, 133, 16486–16494. P. Pandey, O. K. Farha, A. M. Spokoyny, C. A. Mirkin, M. G. Kanatzidis, J. T. Hupp, S. T. Nguyen, “A 'click-based' porous organic polymer from tetrahedral building blocks,” J. Mater. Chem. 21, 1700-1703 (2011). Sun, Y.; Shull, K.R. ; Walko, D.A. ; Wang, J. "Thickness-Dependent Autophobic Dewetting of Thin Polymer Films on Coated Substrates", Langmuir, 27, 201 (2011). M. Concepcion Serrano, Ashley K. Vavra, Michele Jen, Melissa E. Hogg, Jozef Murar, Janet Martinez, Larry K. Keefer, Guillermo A. Ameer, Melina R. Kibbe, "Poly(diol-co-citrate)s as Novel Elastomeric Perivascular Wraps for the Reduction of Neointimal Hyperplasia", Macromol. Biosci. 2011 May 12;11(5):700-9. Yan Sun, Kenneth R. Shull, Donald A. Walko, and Jin Wang. "Thickness-dependent autophobic dewetting of thin polymer films on coated substrates." Langmuir 27, no. 1 (2010): 201-208. Dibyendu Dey, John Kohoutek, Ryan M. Gelfand, Alireza Bonakdar, and Hooman Mohseni. "Integration of plasmonic antenna on quantum cascade laser facets for chip-scale molecular sensing." In Sensors, 2010 IEEE, pp. 454-458. IEEE, 2010. Natalia Morlanés, and Justin M. Notestein. "Grafted Ta–calixarenes: Tunable, selective catalysts for direct olefin epoxidation with aqueous hydrogen peroxide." Journal of Catalysis 275, no. 2 (2010): 191-201. Dibyendu Dey, Ryan M. Gelfand, John Kohoutek, Alireza Bonakdar, and Hooman Mohseni. "Near field imaging of a plasmon photonic crystal patterned on the facet of a quantum cascade laser." In SPIE NanoScience+ Engineering, pp. 77573H-77573H. International Society for Optics and Photonics, 2010. Dibyendu Dey, Ryan M. Gelfand, John Kohoutek, Alireza Bonakdar, and Hooman Mohseni. "Quantum cascade laser integrated with metal-dielectric-metal plasmonic antenna." In SPIE Optical Engineering+ Applications, pp. 77890L-77890L. International Society for Optics and Photonics, 2010. Gerasimos S. Armatas, and Mercouri G. Kanatzidis. "Size dependence in hexagonal mesoporous germanium: pore wall thickness versus energy gap and photoluminescence." Nano letters 10, no. 9 (2010): 3330-3336. Jun Liu, D. Bruce Buchholz, Jonathan W. Hennek, Robert PH Chang, Antonio Facchetti, and Tobin J. Marks. "All-amorphous-oxide transparent, flexible thin-film transistors. Efficacy of bilayer gate dielectrics." Journal of the American Chemical Society 132, no. 34 (2010): 11934-11942. Wei-Wen Tsai, Ian D. Tevis, Alok S. Tayi, Honggang Cui, and Samuel I. Stupp. "Semiconducting Nanowires from Hairpin-Shaped Self-Assembling Sexithiophenes†." The Journal of Physical Chemistry B 114, no. 45 (2010): 14778-14786. Myung-Gil Kim, Hyun Sung Kim, Young-Geun Ha, Jiaqing He, Mercouri G. Kanatzidis, Antonio Facchetti, and Tobin J. Marks. "High-performance solution-processed amorphous zinc− indium− tin oxide thin-film transistors." Journal of the American Chemical Society 132, no. 30 (2010): 10352-10364. Jiaqing He, Joseph R. Sootsman, Steven N. Girard, Jin-Cheng Zheng, Jianguo Wen, Yimei Zhu, Mercouri G. Kanatzidis, and Vinayak P. Dravid. "On the origin of increased phonon scattering in nanostructured PbTe based thermoelectric materials." Journal of the American Chemical Society 132, no. 25 (2010): 8669-8675. Iliya Todorov, Duck Young Chung, Helmut Claus, Christos D. Malliakas, Alexios P. Douvalis, Thomas Bakas, Jiaqing He, Vinayak P. Dravid, and Mercouri G. Kanatzidis. "Topotactic Redox Chemistry of NaFeAs in Water and Air and Superconducting Behavior with Stoichiometry Change." Chemistry of Materials 22, no. 13 (2010): 3916-3925. Federico A. Rabuffetti, Peter C. Stair, and Kenneth R. Poeppelmeier. "Synthesis-dependent surface acidity and structure of SrTiO3 nanoparticles." The Journal of Physical Chemistry C 114, no. 25 (2010): 11056-11067. Jun Liu, Alexander W. Hains, Lian Wang, and Tobin J. Marks. "Low-indium content bilayer transparent conducting oxide thin films as effective anodes in organic photovoltaic cells." Thin Solid Films 518, no. 14 (2010): 3694-3699. Y. Y. Kim, Hasan Adli Alwi, Q. Huang, R. Abd-Shukor, C. F. Tsai, H. Wang, K. W. Kim, D. G. Naugle, and S. Krishnaswamy. "Thermal diffusivity measurement of YBa 2 Cu 3 O 7− x thin film with a picosecond thermoreflectance technique." Physica C: Superconductivity 470, no. 7 (2010): 365-368. Shuzhou Li, María L. Pedano, Shih-Hui Chang, Chad A. Mirkin, and George C. Schatz. "Gap structure effects on surface-enhanced Raman scattering intensities for gold gapped rods." Nano letters 10, no. 5 (2010): 1722-1727. Kyunghan Ahn, Mi-Kyung Han, Jiaqing He, John Androulakis, Sedat Ballikaya, Ctirad Uher, Vinayak P. Dravid, and Mercouri G. Kanatzidis. "Exploring resonance levels and nanostructuring in the PbTe− CdTe system and enhancement of the thermoelectric figure of merit." Journal of the American Chemical Society 132, no. 14 (2010): 5227-5235. Jiaqing He, Steven N. Girard, Mercouri G. Kanatzidis, and Vinayak P. Dravid. "Microstructure‐Lattice Thermal Conductivity Correlation in Nanostructured PbTe0. 7S0. 3 Thermoelectric Materials." Advanced Functional Materials 20, no. 5 (2010): 764-772. Honggang Cui, Matthew J. Webber, and Samuel I. Stupp. "Self‐assembly of peptide amphiphiles: From molecules to nanostructures to biomaterials." Peptide Science 94, no. 1 (2010): 1-18. María L. Pedano, Shuzhou Li, George C. Schatz, and Chad A. Mirkin. "Periodic electric field enhancement along gold rods with nanogaps. "Angewandte Chemie International Edition 49, no. 1 (2010): 78-82. Jiaqing He, Aurelie Gueguen, Joseph R. Sootsman, Jin-cheng Zheng, Lijun Wu, Yimei Zhu, Mercouri G. Kanatzidis, and Vinayak P. Dravid. "Role of Self-Organization, Nanostructuring, and Lattice Strain on Phonon Transport in NaPb18-x Sn x BiTe20 Thermoelectric Materials." Journal of the American Chemical Society 131, no. 49 (2009): 17828-17835. K. E. Pappacena, S. P. Gentry, T. E. Wilkes, M. T. Johnson, S. Xie, A. Davis, and K. T. Faber. "Effect of pyrolyzation temperature on wood-derived carbon and silicon carbide." Journal of the European Ceramic Society 29, no. 14 (2009): 3069-3077. Alexander A. Green and Mark C. Hersam. "Solution phase production of graphene with controlled thickness via density differentiation." Nano Letters 9, no. 12 (2009): 4031-4036. Joseph R. Sootsman, Jiaqing He, Vinayak P. Dravid, Sedat Ballikaya, Derek Vermeulen, Ctirad Uher, and Mercouri G. Kanatzidis. "Microstructure and Thermoelectric Properties of Mechanically Robust PbTe-Si Eutectic Composites†." Chemistry of Materials 22, no. 3 (2009): 869-875. Grace Y. Stokes, Ehow H. Chen, Stephanie R. Walter, and Franz M. Geiger. "Two reactivity modes in the heterogeneous cyclohexene ozonolysis under tropospherically relevant ozone-rich and ozone-limited conditions." The Journal of Physical Chemistry A 113, no. 31 (2009): 8985-8993. Jennifer E. Klare, Ian P. Murray, Joshua Goldberger, and Samuel I. Stupp. "Assembling p-type molecules on single wall carbon nanotubes for photovoltaic devices." Chemical Communications 25 (2009): 3705-3707. Joseph R. Sootsman, Jiaqing He, Vinayak P. Dravid, Chang-Peng Li, Ctirad Uher, and Mercouri G. Kanatzidis. "High thermoelectric figure of merit and improved mechanical properties in melt quenched PbTe–Ge and PbTe–Ge1− xSix eutectic and hypereutectic composites." Journal of Applied Physics 105, no. 8 (2009): 083718. Stacey D. Standridge, George C. Schatz, and Joseph T. Hupp. "Toward plasmonic solar cells: protection of silver nanoparticles via atomic layer deposition of TiO2." Langmuir 25, no. 5 (2009): 2596-2600. Joshua A. Kellar, Jui-Ching Lin, Jun-Hyun Kim, Nathan L. Yoder, Kirk H. Bevan, Grace Y. Stokes, Franz M. Geiger, SonBinh T. Nguyen, Michael J. Bedzyk, and Mark C. Hersam. "Probing surface-adlayer conjugation on organic-modified Si (111) surfaces with microscopy, scattering, spectroscopy, and density functional theory." The Journal of Physical Chemistry C 113, no. 7 (2009): 2919-2927. Alexander A. Green and Mark C. Hersam. "Processing and properties of highly enriched double-wall carbon nanotubes." Nature Nanotechnology 4, no. 1 (2009): 64-70. Marina Sofos, Joshua Goldberger, David A. Stone, Jonathan E. Allen, Qing Ma, David J. Herman, Wei-Wen Tsai, Lincoln J. Lauhon, and Samuel I. Stupp. "A synergistic assembly of nanoscale lamellar photoconductor hybrids." Nature materials 8, no. 1 (2009): 68-75. Alexander A. Green, Matthew C. Duch, and Mark C. Hersam. "Isolation of single-walled carbon nanotube enantiomers by density differentiation." Nano Research 2, no. 1 (2009): 69-77. Jonathan Germain, Marco Rolandi, Scott A. Backer, and Jean MJ Fréchet. "Sulfur as a Novel Nanopatterning Material: An Ultrathin Resist and a Chemically Addressable Template for Nanocrystal Self‐Assembly." Advanced Materials 20, no. 23 (2008): 4526-4529. Haeshin Lee, Junsung Rho, and Phillip B. Messersmith. "Facile conjugation of biomolecules onto surfaces via mussel adhesive protein inspired coatings." Advanced Materials 21, no. 4 (2009): 431-434. Joseph R. Sootsman, Huijun Kong, Ctirad Uher, Jonathan James D'Angelo, Chun‐I. Wu, Timothy P. Hogan, Thierry Caillat, and Mercouri G. Kanatzidis. "Large enhancements in the thermoelectric power factor of bulk PbTe at high temperature by synergistic nanostructuring." Angewandte Chemie 120, no. 45 (2008): 8746-8750. Wei-Wen Tsai, Liang-shi Li, Honggang Cui, Hongzhou Jiang, and Samuel I. Stupp. "Self-assembly of amphiphiles with terthiophene and tripeptide segments into helical nanostructures." Tetrahedron 64, no. 36 (2008): 8504-8514. Zixiao Pan. Patterning and structural engineering of dimensionally constrained functional oxide nanostructures. ProQuest, 2008. Haeshin Lee, Bruce P. Lee, Phillip B. Messersmith, A reversible wet/dry adhesive inspired by mussels and geckos, Nature 448, 338 - 341 (19 Jul 2007). Matthew T. Russell, L. S. C. P., Mark C. Hersam, and Tobin J. Marks. Microscale Features and Surface Chemical Functionality Patterned by Electron Beam Lithography: A Novel Route to Poly(dimethylsiloxane) (PDMS) Stamp Fabrication. Langmuir 2006; 22(15); 6712-6718. Bat-Ami Gotliv, Joshua S. Robach and Arthur Veis, The composition and structure of bovine peritubular dentin: Mapping by time of flight secondary ion mass spectroscopy, Journal of Structural Biology, Volume 156, Issue 2, November 2006, Pages 320-333. Xiaowu Fan, Lijun Lin and Phillip B. Messersmith, Surface-initiated polymerization from TiO2 nanoparticle surfaces through a biomimetic initiator: A new route toward polymer–matrix nanocomposites, Composites Science and Technology 66 ( 9), 1198-1204, 2006. Statz, A. R., Meagher, R. J., Barron, A. E. & Messersmith, P. B. New peptidomimetic polymers for antifouling surfaces. Journal of the American Chemical Society 2005; 127 (22); 7972-7973. Vega, R. A., Maspoch, D., Salaita, K. & Mirkin, C. A. Nanoarrays of single virus particles. Angewandte Chemie-International Edition 2005; 44 (37); 6013-6015. Xiaowu Fan, Lijun Lin, Jeffrey L. Dalsin, and Phillip B. Messersmith, Biomimetic Anchor for Surface-Initiated Polymerization from Metal Substrates, J. Am. Chem. Soc., 127 (45), 15843 -15847, 2005. Wu NQ, Fu L, Su M, et al, Interaction of fatty acid monolayers with cobalt nanoparticles, NANO LETTERS 4 (2): 383-386 FEB 2004. Xu TT, Zheng JG, Wu NQ, et al, Crystalline boron nanoribbons: Synthesis and characterization, NANO LETTERS 4 (5): 963-968 MAY 2004. Hulvat JF, Stupp SI, Anisotropic properties of conducting polymers prepared by liquid crystal templating, ADVANCED MATERIALS 16 (7): 589+ APR 5 2004. Su M, Aslam M, Fu L, et al, Dip-pen nanopatterning of photosensitive conducting polymer using a monomer ink , APPLIED PHYSICS LETTERS 84 (21): 4200-4202 MAY 24 2004. Jeffrey L. Dalsin, Bi-Huang Hu, Bruce P. Lee, and Phillip B. Messersmith, Mussel Adhesive Protein Mimetic Polymers for the Preparation of Nonfouling Surfaces, JACS, 125, (2003) ,4253-4258.